A 1 box solution - the Solido Euro WC pack is a complete set consisting of support frame and cistern, dual flush plate, wall hung pan and soft close seat. The steel support frame gives you the freedom to design your ultimate bathroom by providing a secure and quick method of installing WCs. Each frame comes pre-assembled with sanitary ware fixings and is subject to stringent testing. 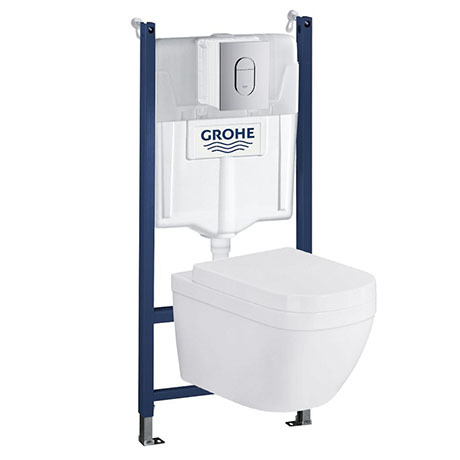 A first class product, aesthetically pleasing, and as expected of Gorhe products.Bolting the WC PAN to the frame is a little tricky.